Modern day advances provide many tools that have contributed to the success in fighting fires for many years. For example, the fire hydrant allows firefighters access to a water source in close proximity to the fire. It is easy to take such tools for granted. Prior to the creation of the fire hydrant, firefighters used a bucket brigade and/or hand pumping system. This process called for buckets of water to be moved from a nearby water source to the location of the fire by volunteers. In order to gain access to a great amount of water, firefighters had to dig a hole into the water main. 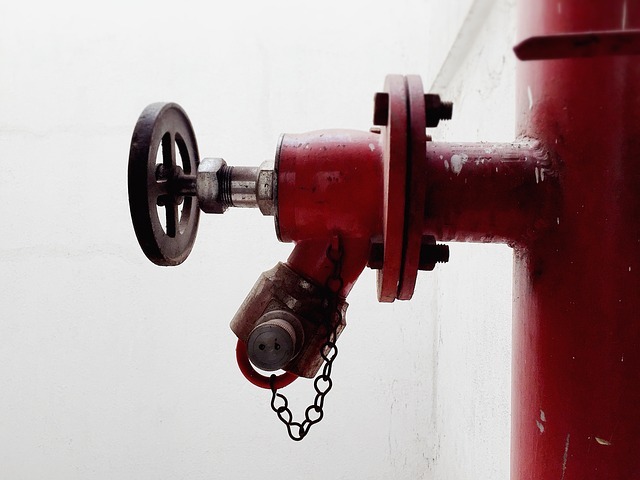 Once they no longer needed water, “fire plugs” were created in order to close the hole. These slow and inefficient systems did not suffice for extinguishing fires of great size. Credit for the first fire hydrant in 1801 goes to Frederick Graff Sr., a fire engineer from Philadelphia. Although, the patent for his creation of the fire hydrant is not verified due to a fire that occurred in the patent office where all destroyed records. 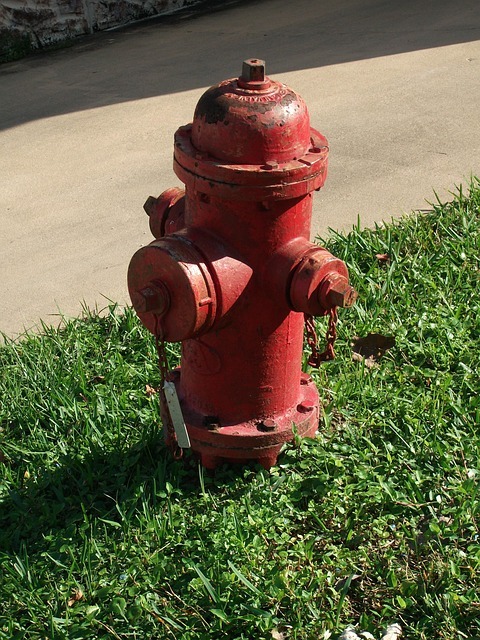 As a result, according to some sources, George Smith, a fireman, is given credit for creating the first fire hydrant in 1817. For more historical facts on modern advances in firefighting checkout our timeline of the motorized fire apparatus. The Cleveland Clinic is consistently rated one of the top hospitals in the nation. However, just eight years after first opening their doors the clinic was faced with a disaster that would change firefighting forever. In the early 1900s one of the most popular ways to store medial information was on a medium called “Nitrocellulose Film.” Developed by Kodak, this type of film was lightweight and inexpensive. It was also extremely flammable. On May 15, 1929, staff at the Cleveland Clinic noticed a leak in a steam pipe in the basement where their records were kept. They contacted the repairman, but he was unable to find the source of the leak. Several hours later, the steam became serious enough to begin melting the film. This caused several explosions that would send highly toxic gas through the hospital. Firefighters arrived immediately on the scene, but were unable to enter the building due to the poisonous fumes. Some of the staff and patients were able to escape via raised ladders and spread life nets, however the 123 that breathed the gas would instantly perish. The disaster at the Cleveland Clinic was unprecedented in its time, and led officials to establish a number of safeguards to prevent such a disaster in the future such as hazardous material storage standards, and standard-issue gas masks. 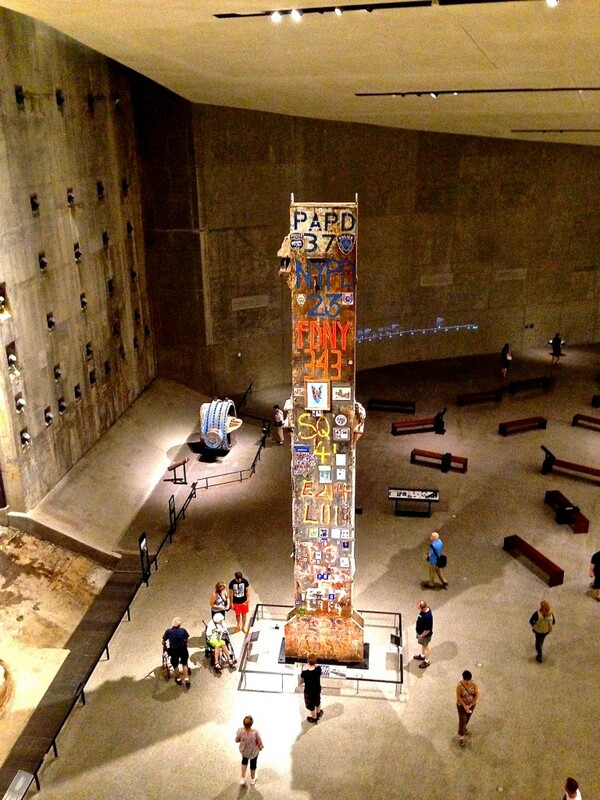 There are no words to describe the feeling when entering the 9/11 Memorial Museum. Witnessing people of all ages remember, honor and respect the grounds is humbling and inspiring at the same time. 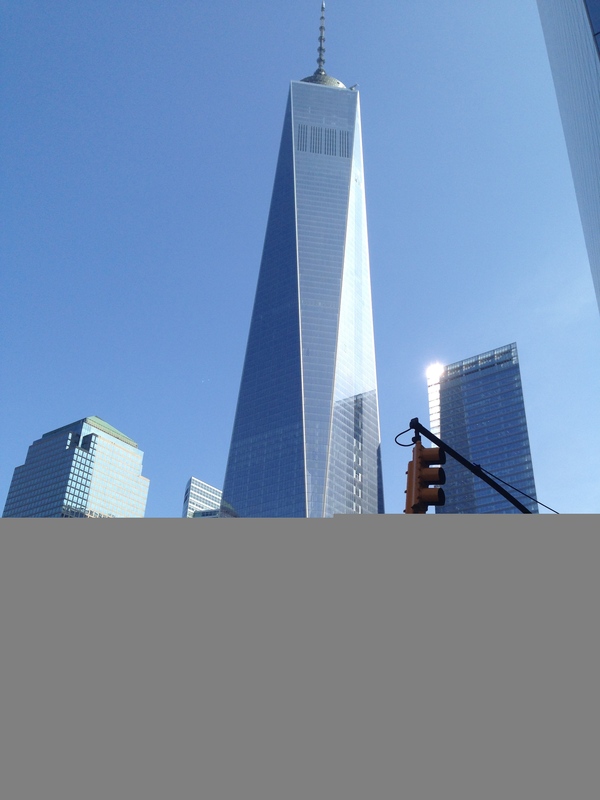 These images were take on Tuesday, July 1st at the 9/11 Memorial Museum in New York City. 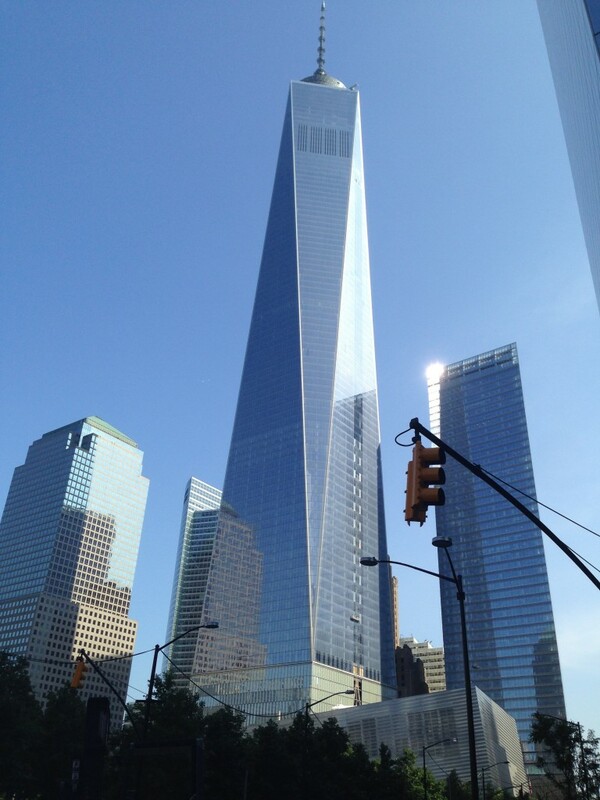 It was a very calm morning with blue skies…much like the morning on September 11, 2001. In heart of the bustle of the NYC financial district, the memorial is serene and peaceful. Right next door, stands the still-being-constructed Freedom Tower. On September 11, 2001 Ladder Company 3 truck was led by its decorated captain, Patrick “Paddy” John Brown. The Last Column. 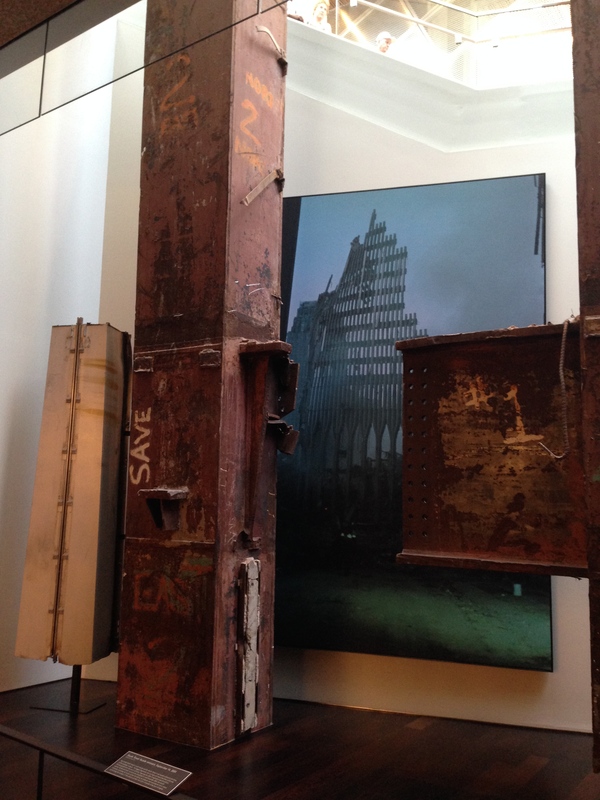 A three-story beam of metal that stood in the foundation of the World Trade Center’s South Tower. There is no question that Fire Fighters have a long and proud history across the world. For years brave men and women have faithfully served to protect the people. But how far back does the Fire Fighting tradition go? It might surprise you that the oldest team of Fire Fighters on record traces back to Ancient Rome. Wealthy Roman governor, Marcus Licinius Crassus, is on record as having created the first organized fire brigade. However, Crassus was no hero. 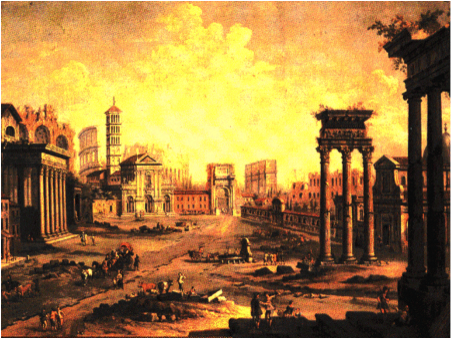 In ancient times Rome was particularly susceptible to fires due to a combination of the city’s early urban architecture, and the heat of the Italian summer. Crassus took advantage of this by creating his brigade of 500 men who would rush to burning buildings at the first sign of trouble… and negotiate a satisfactory price before beginning to fight the fire. Soon after, early Roman Emperor Caesar Augustus, saw the need for a city-wide fire brigade and in AD 6 created the proud order of the Vigiles Urbani, the Watchmen of the City. The Vigiles were stationed in city barracks and would patrol the streets for unsupervised fires. Upon finding a budding fire a cohort of Vigiles would dispatch from the barracks with a horse-powered fire engine, and an expert in the city’s water supply – known as an aquaria. During their time as servants of the city, the Vigiles saved many lives, putting out fires, and often laying out mattresses and blankets to allow people to jump to safety. Little did they know that their vigilance would begin a tradition of honor and bravery that would stretch all the way to the 21st century and beyond. The Jacksonville Fire Museum in Jacksonville, Florida serves as a link for past and present fire history for Jacksonville. The museum also serves as the State of Florida Fire Museum. 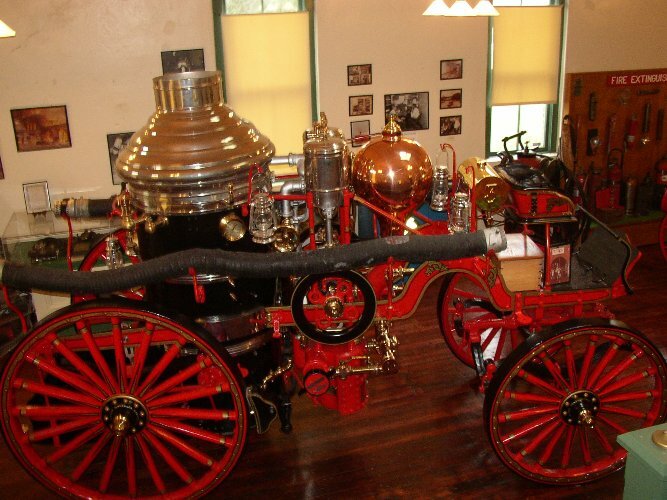 Exhibits include photos and information about the Great Fire of 1901, a fully restored 1902 American LaFrance horse-drawn fire engine (pictured) and a working 1926 American LaFrance fire engine. The museum was destroyed during the Great Fire of 1901 in Jacksonville on May 3, 1901. In 1973, Fire Station No. 3 was placed on the National Registry of Historical Monuments. The building was declared unstable in 1993 and a restoration project began. Today, Fire Station No. 3 sits in the Jacksonville Metropolitan Park. Heading to the Sunshine State this spring or summer? 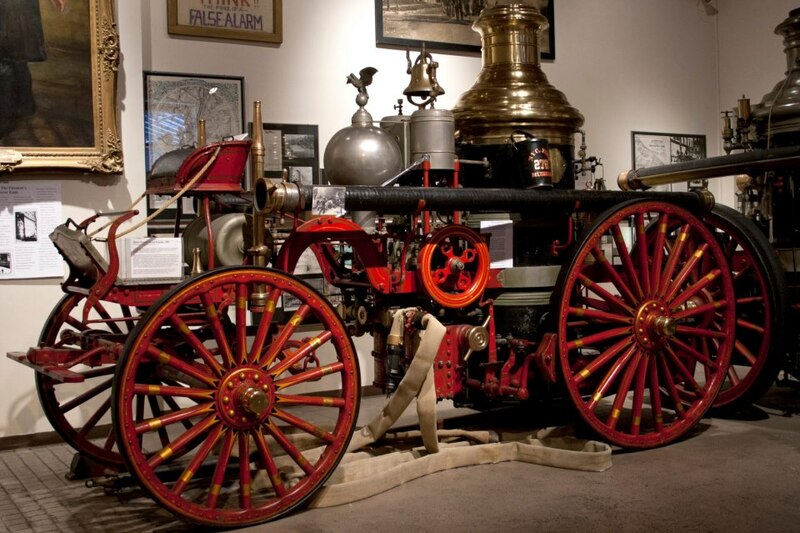 Click here and plan your visit to this storied fire museum. Follow the Jacksonville Fire Museum on Facebook, too. 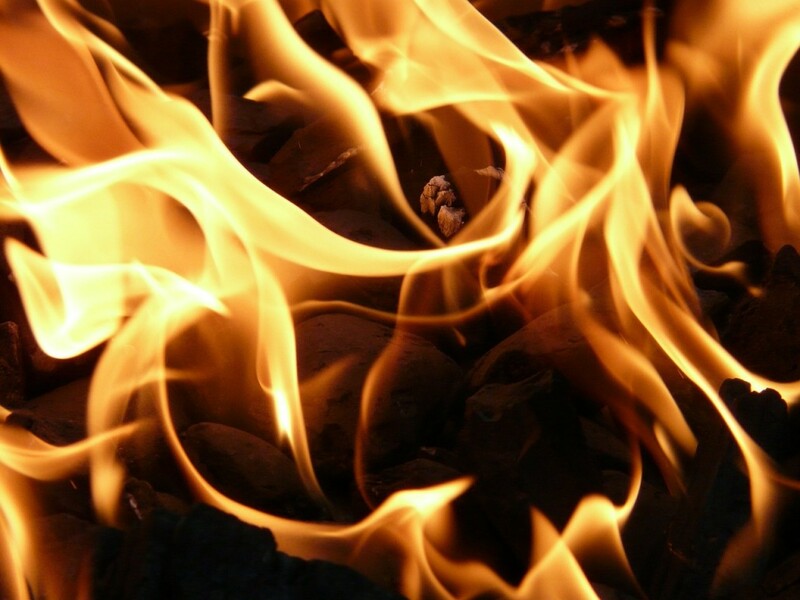 Fire-Dex is the premiere fire protection gear company. Manufacturing firefighting equipment from fire helmet to fire boots and everything in between, Fire-Dex protects those who risk personal peril in service of others. Take a look at any firehouse around the world and you’re likely to see some form of the iconic cross-shaped fire department logo. Have you ever wondered where this logo originated, and how it came to be synonymous with “Fire Department”? While the evolution of the icon is fuzzy, it can be traced back to two distinct points of origin, one as early as the 4th century. 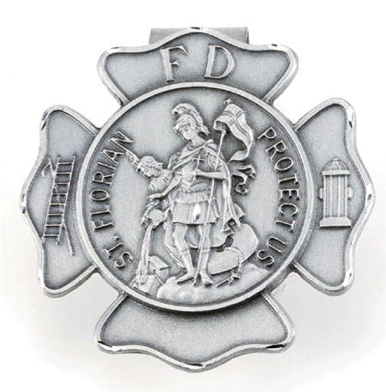 The earliest origins of the cross trace back to Saint Florian, a Roman officer in the early 4th century who, in addition to commanding the ranks of the Northeastern Roman army, was tasked with organizing firefighting brigades. Florian’s men weren’t the first group of firefighters in Rome, but they were certainly the best. Florian was so dedicated to protecting Roman citizens that he organized and trained an elite group of soldiers whose sole duty was to fight fires. Later in Florian’s life he was found to have refused to worship the Roman gods, and was sentenced to death. His body was recovered and buried, and he was later venerated and declared a saint. Ever since, fire fighters and military bands worldwide have adopted the iconic cross that can be seen in many depictions of Florian. Though Florian’s cross is probably the most common, many departments have adopted the “Maltese Cross”. Though similar, this particular icon has a different origin story. The first group to don the cross was known as the Order of the Knights Hospitaller, or the Knights of St. John. This group, founded in Jerusalem during the 11th century, banded together and risked their lives to fight off the attacking Saracens and their deadly fire-bombs. 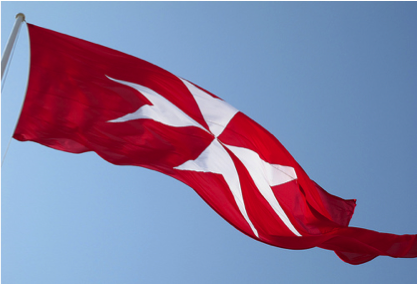 As recognition for their bravery, the Knights of St. John were given the island of Malta. Soon after, the symbol on the island’s flag became synonymous with this order of fire fighters and the bravery they showed in the Holy Land. 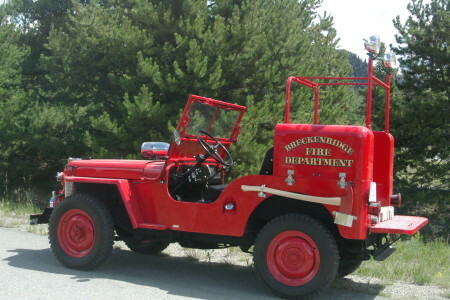 The Breckenridge Red White and Blue Fire Museum is located in Breckenridge, Colorado, right next to the city’s Fire Department. The museum serves to honor the city’s long standing Fire Department, and houses the town’s antique fire apparatus and artifacts. The Red White and Blue Fire Department was created in the late 1800s as a response to the constant threats of major fire that a growing city such as Breckenridge faced. The department, and the museum get their name from the original three companies that made up the department – the Red, the White, and the Blue. Today, anyone can visit the Red, White and Blue Fire Museum and see a variety of displays from an original human-powered ladder cart, a restored horse card, and firefighting equipment and uniforms that were used by the original three companies. Visitors are also able to receive a tour of the museum by visiting the beautiful Red, White and Blue Fire Station. On April 27, 1983, when stamps were .20 cents and gas was only $1.25/gallon, Fire-Dex opened in Cleveland Ohio, under the name National Safety Apparel. 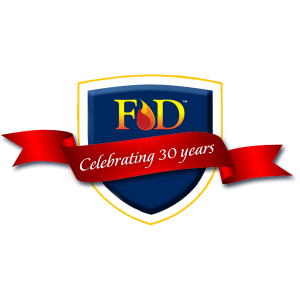 Thirty years later, Fire-Dex is serving the international firefighter community as a top provider of head-to-toe turnout gear with continued expansion in the industry, including the development of a boot line. Their real mark came with the design and development of the FX-R custom turnout gear, now proven to deliver best-in-class comfort and safety like no other in the industry. In the beginning, according to founding member Charlie Grossman, Fire-Dex manufactured only gloves. According to Grossman, the most pivotal point in the growth of their business happened later in 1984, when current Chairman Bill Burke was hired. “Our growth in the glove market just took off”, said Grossman. Below is a short timeline of the various Fire-Dex products that have been introduced to the market over the past 30 years. Production begins on NFPA 1971 bunker gear, NFPA 1976 ARFF gear, and 1999 ParaDex™ EMS gear. 2009: Bill Burke and Fire-Dex decided to enter the fire footwear market. 2010: First Fire-Dex boot order ships in Dec.
2012: FX-R is introduced at FDIC. 2013: Gear Tracker; NPFA 1851 Gear Management System released to public. 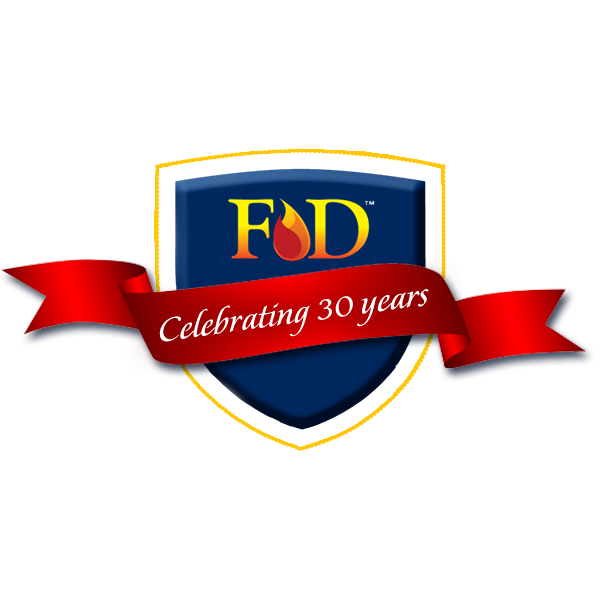 Fire-Dex will be celebrating the past 30 years of history with related blog posts throughout 2013. 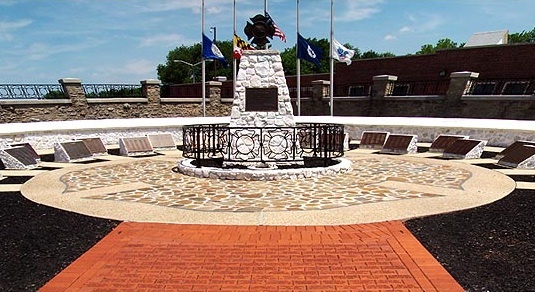 A seven-foot stone monument was constructed in 1981 in Emmitsburg, Maryland to honor the brave men and women who lost their lives to protect their community. The monument features a sculpted Maltese Cross, the traditional symbol of the fire service. There is an engraved plaque on the monument that bears a message from President Ronald W. Reagan. 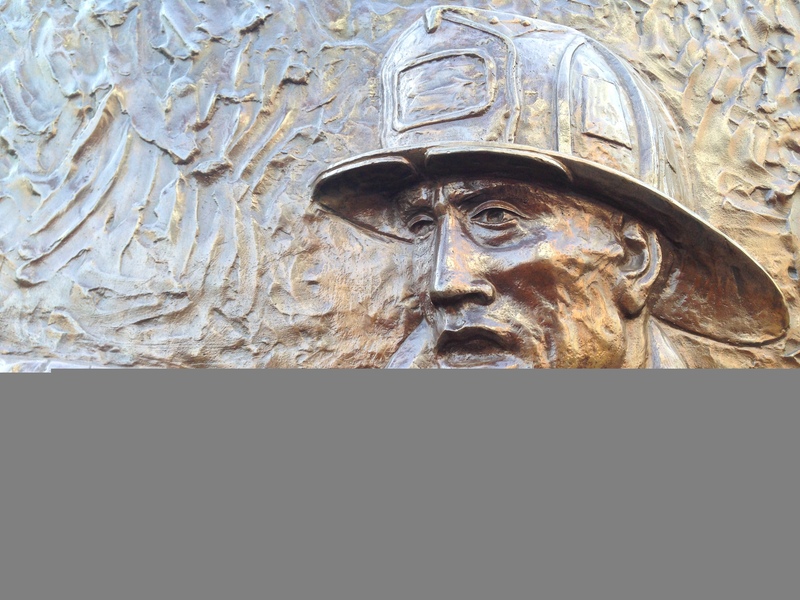 There is an eternal flame at the base of the monument to symbolize the spirit of all firefighters – past, present and future. The names of the men and women of the fire service who have died in service to their communities since 1981 encircle the monument, listed on plaques. Whenever a firefighter dies in the line-of-duty, fire officials post a notice of the death at the monument and lower flags at the site to half-staff. Every October, the National Fallen Fire Fighters Foundation sponsors an official national tribute to all firefighters who died in the line of duty during the previous year. The ceremony includes the placing of a Presidential Wreath at the monument and dedication of a plaque honoring those who died in the line-of-duty. 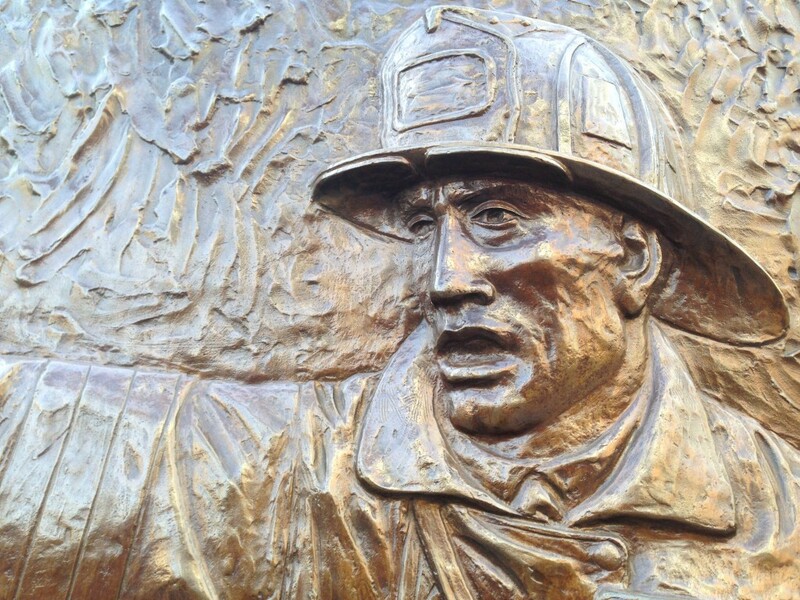 Thousands are expected to be in attendance at the National Fallen Firefighters Memorial Weekend October 5-7, 2013. The Memorial Weekend is a time for sharing and healing for the families of fallen firefighters. Representatives from Honor Guard and Pipe Band Units participate as part of this solemn tribute and commemoration of fallen loved ones. Families in attendance have expressed how much they appreciate the honor bestowed upon their loved ones at the national tribute. 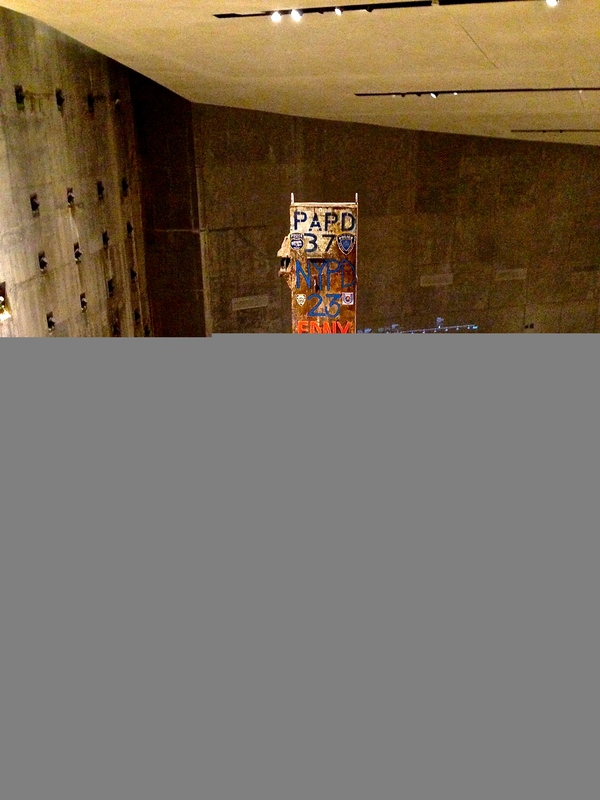 Have you visited the memorial? Tell us! 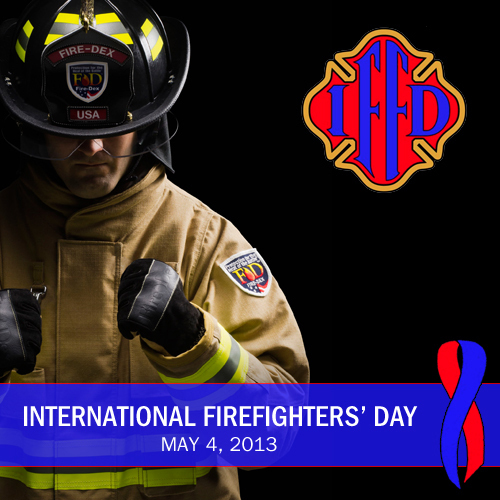 May 4 is International Firefighters’ Day (IFFD). All are invited to remember the past firefighters who have lost their lives while serving their community. It is also a day to show support and appreciation to the firefighters worldwide who continue to protect their communities throughout the year. By proudly wearing and displaying blue and red ribbons pinned together, we proudly say “Thank you” to firefighters everywhere. The museum has two floors of exhibit space. The first features equipment, gear and apparatus, and a September 11th Memorial. The second floor features volunteer memorabilia and paintings. The Museum has one of the largest collections of fire-related artifacts and artwork in the world. The Museum is a private, not-for-profit institution. 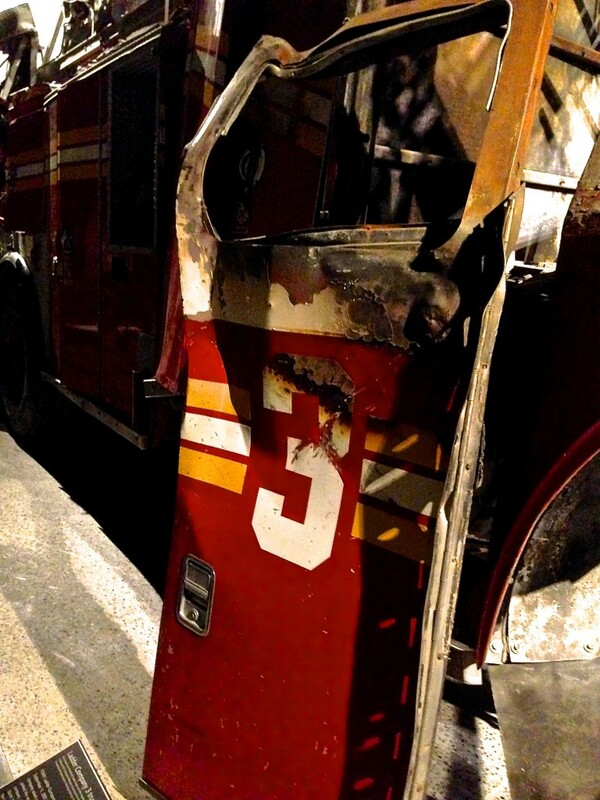 It operates in a firehouse owned by the FDNY. Stay current with NYCFM by liking their Facebook page: https://www.facebook.com/nycfiremuseum. Photo credit: NYCFM Facebook page. 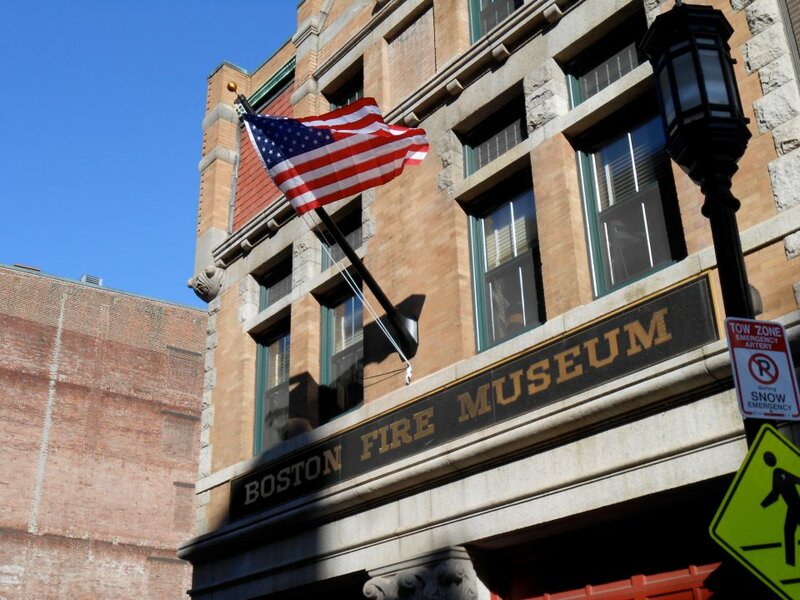 The Boston Fire Museum is located at 34 Congress Street in Boston, Massachusetts in an old firehouse. The Museum not only educates and informs the general public about fire safety but it preserves firefighting memorabilia and supports the fire service. The Museum is owned and operated by the Boston Sparks Association, a fire buff club of people interested in the fire service. The operation is completely run by volunteers that are dedicated to informing people about the history of fire fighting and one of the oldest fire departments in the country. Follow the Boston Fire Museum on Facebook. 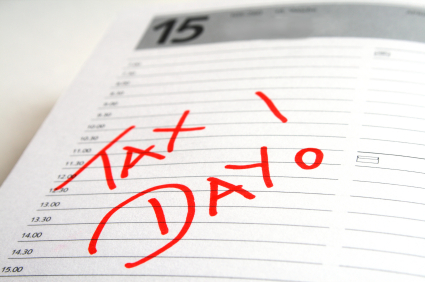 Firefighters, first responders and police officers should expect to be a little bit busier April 15th due to two dreaded words: Tax Day. The road is increasingly less safe on this particular day. Statistics show an increase in fatal road accidents each year on the date that income taxes are due. Researchers from the University of Toronto suspected that stress from the yearly tax deadline might lead to more road accidents. After sorting through 30 years of National Highway Traffic Safety Administration records and comparing the number of people involved in fatal car crashes on the date income tax was due to the number involved one week before and one week after the due date, the results indicated that the risk of being in a fatal road accident rises on tax day, on or around April 15th every year. The results of study can be found in the April 11, 2012 issue of The Journal of the American Medical Association. On average, about 13 additional people were involved in fatal car crashes every tax day, an increased risk of about six percent. The risk crosses all boarders, including; all regions of the country (though it was highest in the West), all races and genders and pedestrians/passengers were all affected. The only group immune was people over the age of 65. Distracted drivers result in dangerous roads. Tax Day is April 15, 2013. It would be wise to be on alert while on the road that day and be prepared to be busy! When the Irish and Scottish immigrated to the United States hundreds of years ago, they brought more than just their belongings; they brought a culture rich in tradition. They introduced the United States to pubs, St. Patrick’s Day and bagpipes. The Great Highland Bagpipe was often played at weddings, funeral and dances. In the 1800s, it was not uncommon for several firefighters to die each day while on duty. The Irish firefighter’s funeral was typical of all Irish funerals and bagpipes were played. 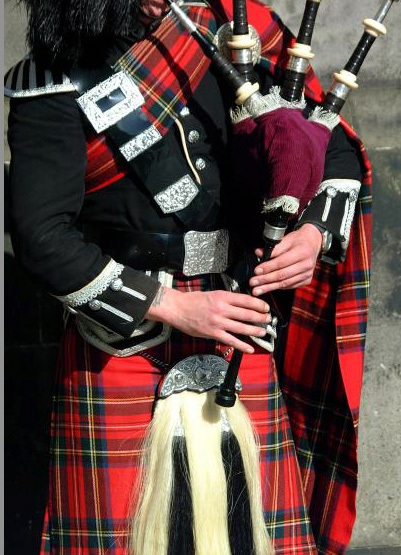 Today, bagpipe bands exemplify both firefighters and police officers and can have upwards of 60 members, formed with the common goal to honor those fallen heroes. 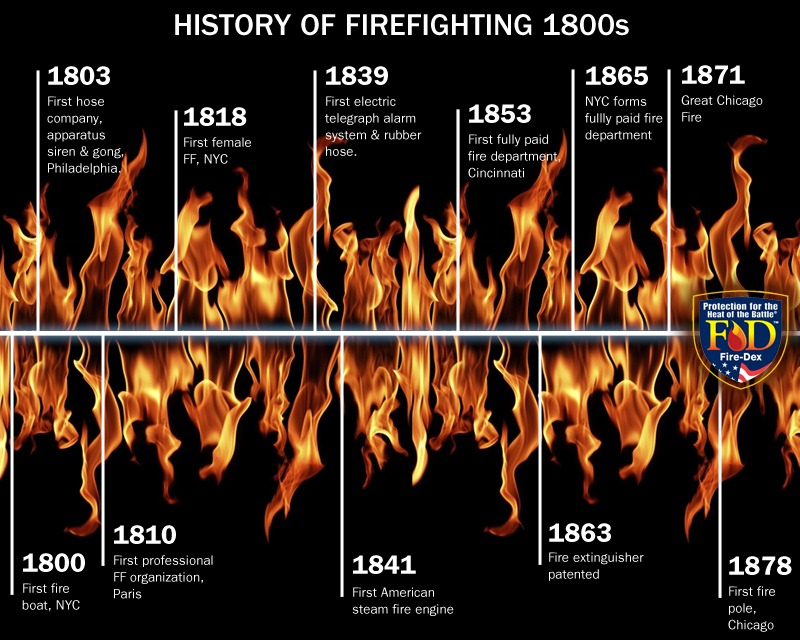 History of firefighting, the 1800s. Women have played a very important, though not always visible role, in the history of firefighting dating back to the nineteenth century bucket brigades. While most of the history of female firefighters is lost, as the information was not officially gathered until the 1970s, several important names left there mark on history and led the charge for women to serve in their local brigade. Molly Williams: Opening the doors for women in firefighting, Molly was a New York slave who joined the Oceanus Engine Company #11 in 1815, standing with the men on dragropes and pulling the pumper to the fires. Adleheid von Buckow: Assisting the Atlantic City Fire Department’s volunteer company during a large blaze in 1875, Adleheid impressed them with her strength and endurance while pumping water all night long. She remains the only women ever to be a member of the company. The Girton Ladies’ College: Under the supervision of London’s Fire Brigade Captain, students formed an all-women’s fire brigade in 1878. The company remained intact until 1932 when motor-powered fire equipment placed the college under the jurisdiction of the Cambridge Fire Brigade. 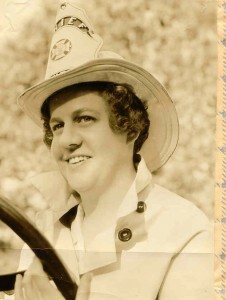 Anne Crawford Allen Holst: With the honor of first female fire chief, Anne became chief in 1931 for the Cedar Hill, Rhode Island fire department. She is not only responsible for saving dozens of lives during her years serving in forestry and firefighting but also paving the way for future women leaders in the industry. Today there are more than 10,800 women who are career firefighters and over 3,000 women members who are volunteers. The history of women firefighters is rich with honor and continues to carve its path in history each day.